Before there existed important centers of learning that attracted students from faraway lands, foundations for educational development had to be set into place, a phenomenon that occurred in several regions of the world. Each of these centers of knowledge left indelible imprints on modern education and affected the course of learning exchange. 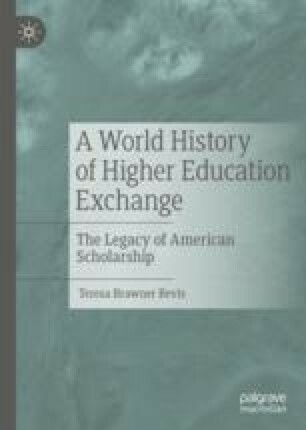 Provided here is a starting place for understanding the rise and direction of scholarship in early civilizations—Middle Eastern, Asian, Greco-Roman, Mesoamerican, and European. The unique contributions of each are briefly reviewed, along with the first known instances of education migration. Chesser, Preston. n.d. The Burning of the Library of Alexandria. The Ohio State University. https://ehistory.osu.edu/articles/burning-library-alexandria. Accessed December 2018. Sanders, William T., and Barbara J. Price. 1968. Mesoamerica: The Evolution of a Civilization. https://www.questia.com/library/7763947/mesoamerica-the-evolution-of-a-civilization.